But did you know that adding resistance training to your workout routine will make it much more effective for long-term weight management? It’s true, especially for people with diabetes. When you’re losing weight by doing only cardio, you’ll generally lose both fat and muscle. If resistance training isn’t part of your workout routine, you could actually be slowing down your metabolism by losing lean muscle mass, especially if you are also restricting your calories. So, does that mean you should change your plan, or that you shouldn’t use resistance training for weight loss? NO! Who cares what the scale says if you look and feel better? It’s a good idea to start easy, doing higher repetitions (15-20) and focusing on machines over free weights until your body has gotten used to this type of exercise. As you get stronger, you can reduce the repetitions to 8-12 and move to a mix of machines and free weights. Our Fitness Editor Ben Tzeel has written a post about How to Design a Resistance Training Program that has a program you can use. 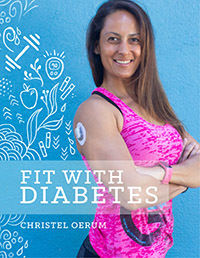 You can also utilize one of the gym workouts or home workouts already designed for you here on Diabetes Strong. If you’re doing resistance training for weight loss (as opposed to doing it as part of a muscle building program), you don’t need more than two or three 30-45 minute resistance training sessions per week. If you combine that with an equal amount of cardio, you have a great formula for long-term weight management success! Previous Post: « Nuts and Diabetes: Are Nuts a Good Snack for People with Diabetes? You said in your article that 1-2 pounds of weight loss is healthy unless you are more than 40 pounds overweight. What would be considered for someone that needs to lose more than 40 pounds? 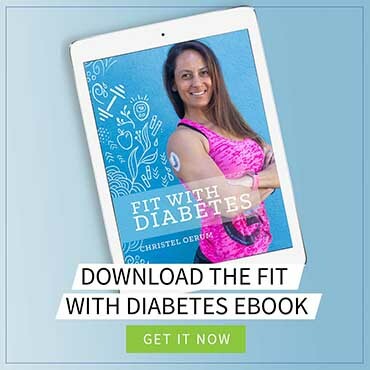 Do you have access to any in-person diabetes counseling? Perhaps through your local ADA chapter? I would love to help, but I am always very hesitant to give advice when I don’t know your specific situation and limitations.